Bar None Review is a highly rated California Bar Exam Preparation Course. We’ve worked with Bar None’s owner through two redesigns of her website (a changing business has changing website needs!). Bar None needed to provide information on their service for new potential students and showcase the valuable offers they provide. Behind the scenes, Bar None Review’s students needed a way to receive homework assignments and submit completed assignments for instructor review. 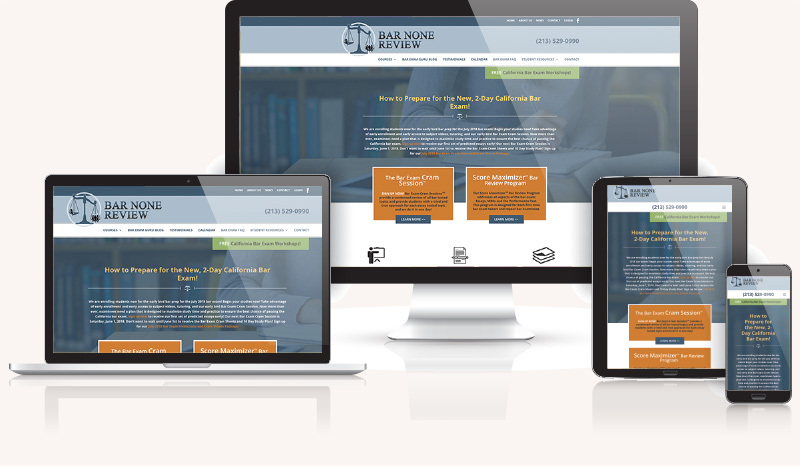 The resulting website is a custom solution for Bar None’s specific needs and serves them well.